Join us for a case study presentation featuring Aecern's founder Luk Henrik. Aecern is a discovery-driven learning platform for the K-12 market. Our panelists for the event will include Dr. Thanh Nguyen, Associate Professor in the Department of Secondary Education and Professional Programs and Instructional Technology Program at Bridgewater State University, Bob Lamkin, entrepreneur, sales/marketing executive and former venture capitalist. 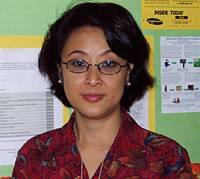 Thanh T. Nguyen is an Associate Professor in the Instructional Technology Ed.M. Program. She earned her doctorate in Learning and Teaching from the Harvard Graduate School of Education. Before coming to the Bridgewater State University, Dr. Nguyen served as Associate Vice President of the Society for Technology Information and Teacher Education (SITE) Information Technology Council, Technology Leader for the Great Cities Universities (GCU), Urban Educator Corps Partnership Institute, Preparing Tomorrow's Teachers to Use Technology (PT3), Lecturer, University Supervisor and Chairwoman of the Technology in Education Committee at UMass Boston Graduate College of Education, online trainer for the WIDE World's Harvard University online courses, and Instructional Leadership Team Consultant, Boston-Harvard Leadership Development Initiative for the Whole School Change, Harvard School Partnerships. Currently, her research interests involve designing curriculum for Information Age learners. In the transformation from Industrial Age to Information Age, Dr. Nguyen encourages teachers to rethink and redesign curriculum for active learning with the use of digital information and global communication environments. Teachers need to redefine the requirements and skills for the global community and its marketplace in the twenty-first century. Bob Lamkin is a serial entrepreneur and technology sales and marketing executive. He co-founded and is managing director of Bay Angels, a Cape Cod-based angel investment group. Bob also sits on the advisory board of several early and mid-stage technology companies including Cape Cod-based Marketing Advocate. Bob was a Venture Partner for TVM Capital, a German/US Venture Capital Firm) from 2000-2010. He provided valuable strategic and tactical sales advise to several of TVM Capital’s portfolio companies worldwide and served on the board of ClearCube Technology. Before joining TVM Mr. Lamkin was Vice President of Worldwide Sales for Agere, Inc. which was acquired by Lucent Microelectronics. Mr. Lamkin also held the position of Vice President of World Wide Sales at VideoServer, Inc and Vice President of North American Sales for Compaq Computers’ Network Access Communications Division. His previous positions include Vice President of Sales and Strategic Partnerships for Microcom (prior to its acquisition by Compaq), C.O.O. of TerraLogics, Inc., and Vice President, Sales, Marketing, Consulting and Education Services for Symbolics, Inc. Mr. Lamkins early career included positions at Digital Equipment Corporation and Wang Laboratories domestically and abroad He has studied electrical engineering at Northeastern University, earned his bachelor’s degree in education at the State College in Salem, Massachusetts, and attended Northeastern University’s Graduate School of Education and Boston College Graduate School of Management. Mr. Lamkin is author of the book “How to Beat Your Quota: A Guide to Professional Selling” published by the American Management Association.